Multifamily Utility Company is a national submetering and billing company that provides utility submetering solutions throughout Kentucky and the US. At Multifamily Utility we use reliable, high quality precision products from some of the leading utility metering and submetering hardware manufactures in the industry. By working with industry leading manufactures we are able to design submetering systems for just about every situation. Some of the manufactures we work with include American Meter, Norgas, Hexagram, Neptune, Master Meter, IMS, Wellspring, Elster and Triacta. At Multifamily Utility we handle everything so you don’t have to. From system design, to installation, to maintenance and ongoing service, we do it all. If you should decide submetering is right for your properties we will send out an experienced technician to do a complete property analysis. The purpose of the analysis is to help us better understand your needs as well as your goals. Once we know this information we will design a system that will help you accomplish your desired goals. There are several regulations pertaining to submetering in Kentucky as well as RUBS billing in Kentucky. According to the Kentucky Public Utility Commission rules, the landlords that are not making a profit from billing their tenants are not considered a public utility and are exempt from their rules. The landlords are permitted the use of ratio utility billing system (RUBS) and submetering for electricity and natural gas. The property managers are also allowed to charge the tenants for trash. Water billing is also allowed and the owners may charge reasonable fees provided all rates and terms are disclosed in the rental agreement. As a property owner, manager or developer energy efficiency is easily one of the biggest obstacles you will run into. At Multifamily Utility we help solve this issue by offering code compliant submetering systems for new construction and for existing systems that need to be replaced. As one of the leading submetering and billing companies in the nation we help property owners, managers and developers in the state of Kentucky promote conservation through the use of submeters. We specialize in submetering and allocation of water, gas and electric utilities for apartments, condominiums, commercial buildings, new construction, mobile homes and military housing throughout the United States. Some of the benefits of using a submeteirng system include reduced administrative burden, improved property value, stabilized rents, better cash flow and fewer operating costs. At Multifamily Utility we work closely with local, state and national agencies to ensure every system we design is code compliant. 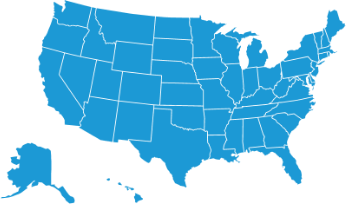 If your state requires testing and inspection before installation we will send the submetering system to the appropriate agencies on your behalf. Once the system has been approved we will schedule installation and move forward with the project. To help make the transition as smooth as possible we will send notices to all residents on your behalf letting them know about the new submetering systems that are being installed. Our customer service team is friendly, bilingual and ready to assist you with any questions, concerns or issues you or your residents may have. We take great pride in tracking, responding to and resolving every issue in a quick and professional manner. Besides submetering systems we also offer a host of other services designed to help you meet all of your property needs. Some of those services include Customized Ratio Utility Billing Systems (RUBS), Utility Expense Management, Resident Expense Management, Meter Maintenance & Compliance and Billing & Collections.